What is hip? 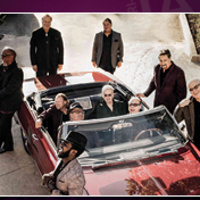 The iconic Tower of Power — 50 years later! This dynamic funk and soul band celebrates its anniversary with a CD of new material and a tour of their golden canon of classics. A perfect festival opener! Get ready to dance to their string of hits. In the being post, it is the most important and useful post which is so wonderful experience as we can that where such a nice places in that progress. I would clearly say that age does not matter for these sorts of things, well it is good then if they https://topamericanwriters.com/thepensters-com-review/ are celebrating their anniversary and trying to do something more different. Please keep enjoying better than this.